Decorated with artificial, yet naturally looking, curled ferns, decorative grasses, and boxwood branches. 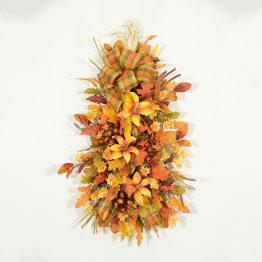 Nicely highlighted by maple leaves, eucalyptus, Chinese lantern flowers, and heather, in beautiful fall shades of gold, yellow, and rust. 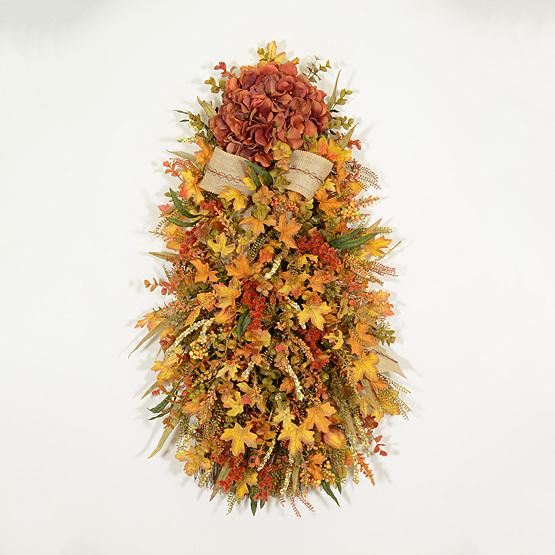 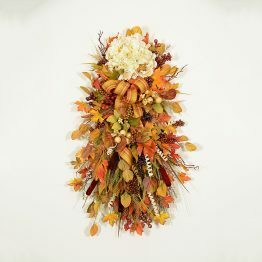 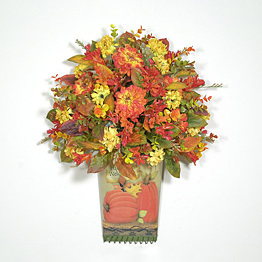 A burlap ribbon tied in a bow, gives this Autumn swag a country flair.